I love me a good dollar store. 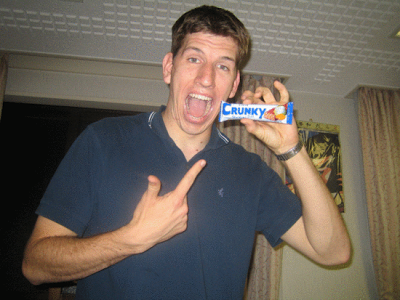 Though, the quality of a lot of the items are subject to scrutiny. The aluminum foil is thin, the soap lathers poorly, all the toys are really bad knock offs of current popular items. Most of the stuff at those stores are shady at best. One thing most dollar stores are good for is cards. I can usually find older retail, or 5 packs of current releases. With luck, I get a 33 card pack of mostly junk wax. Fun rips no matter what I find. DJ, however, from Sportscards From the Dollar Store, seems to have the best cheap cards around. I never have consistent good pulls as DJ will get. And if the last couple of mailings are any sign of Canadian repacks, I'm Toronto bound. 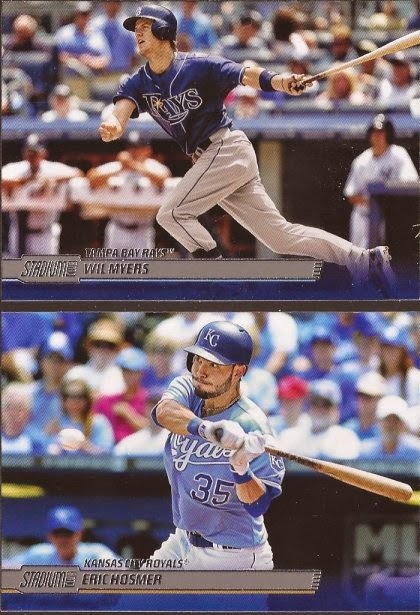 Not sure these came from a repack, but I don't recall DJ ripping a bunch of Bowman. At least not that he posted. However, I am not one to turn down any needed Sox for my collection, prospects or not. Here's the kind of stuff I never see in repacks, or in dime boxes. Ever better!!! Since they scan like crap, that a single diamond Sharp in the top left, and a triple TvR (Trevor van Reimsdyk) top right. But the Hawks didn't stop here. OH YEAH!!! Vintage O-Pee-Chee. 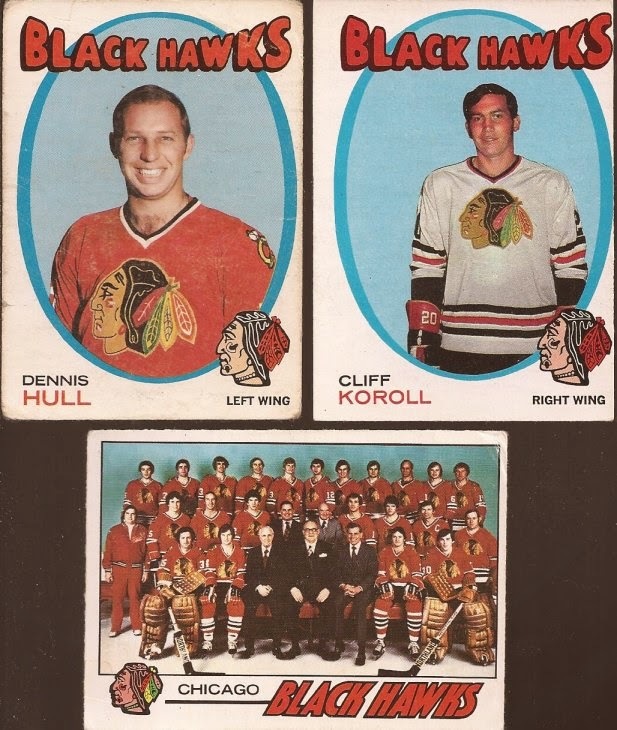 The team card is from '77, and the '72 set provided Bobby's younger brother Dennis, and Cliff Koroll, solid winger for the Hawks in the decade of the 70's. 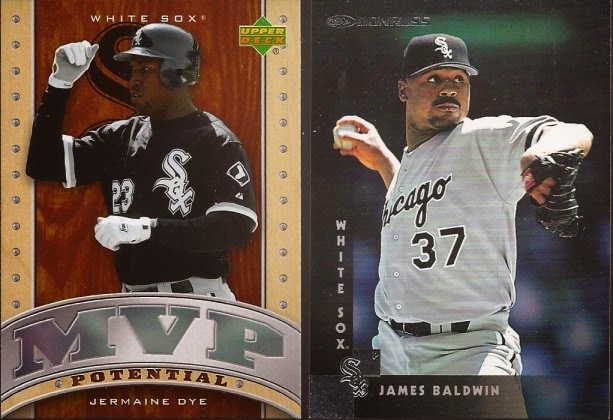 A week or so after these cards, DJ dropped a PWE on me with these. Thanks as always, Doug. I think my group of cards for you is just about at PWE status. 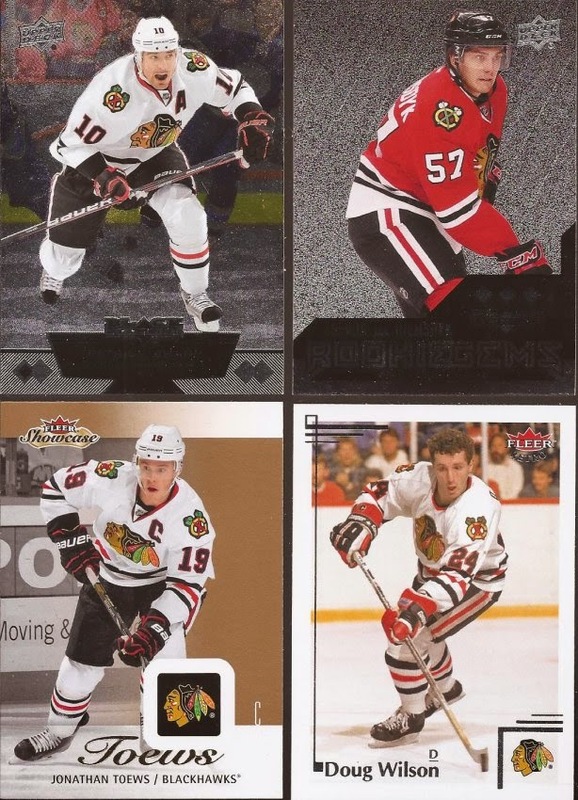 The first hockey - Sharp, Toews and Wilson from a flea market repack. TvR from the only pack of Black Diamond I busted. So, it looks like 50/50.